Daytime delight and nighttime knockout. Whatever the occasion this slide will match perfectly. Enjoy comfort like never before with no expense spared. Fall in love with this style. A delightful all day beauty with all the comforts of a forever shoe. Combination wide vamp stretch upper with a leather strip, leather /suede 3-D flower, and double front straps. Whatever the occasion this slide will not disappoint! Enjoy comfort like never before with no expense spared. Fall in love with this style. 1. High quality full leather upper. 2. Beautiful leather flower adorns the top strap. 3. 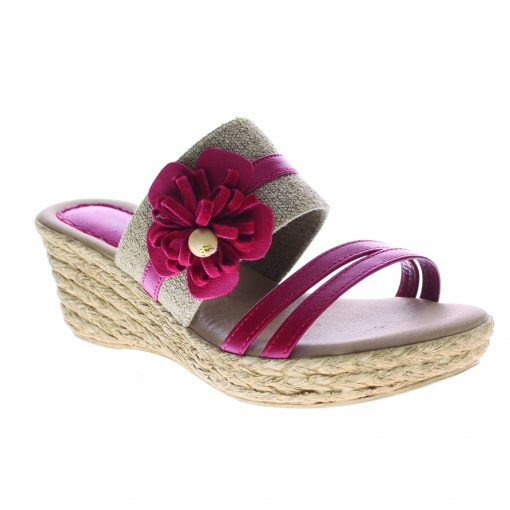 Espadrille inspired design with incorporated elastic in top strap. 4. Lightly padded foot bed. 5. Jute wrapped design on a polyurethane outsole. 3. Style and functional for appeal and comfort. 4. For all day wearing. 5. 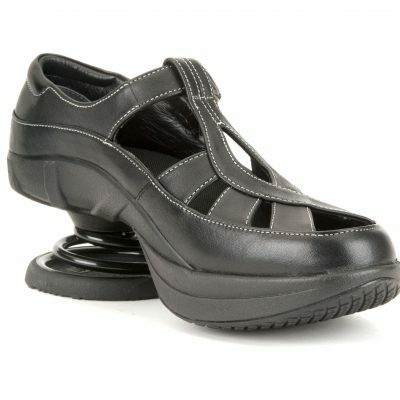 Stylish with great traction in any weather. 6. Quality and craftsmanship at its finest.